The rumors are true: Honey Boo Boo is coming to Dancing with the Stars: Juniors, along with Miles Brown from black-ish and Bristol Palin’s child. This spin-off of everyone’s favorite dancing competition premieres October 7 with a two-hour special, hosted by Jordan Fisher and Frankie Muniz, from DWTS Season 25. But this time around, the contestants will all be children. One of those children is Alana Thompson, also known as Honey Boo Boo, who has already starred in three other reality TV shows, including Toddlers & Tiaras where she got her start, and was rumored earlier this summer to appear on DWTS’ latest season. 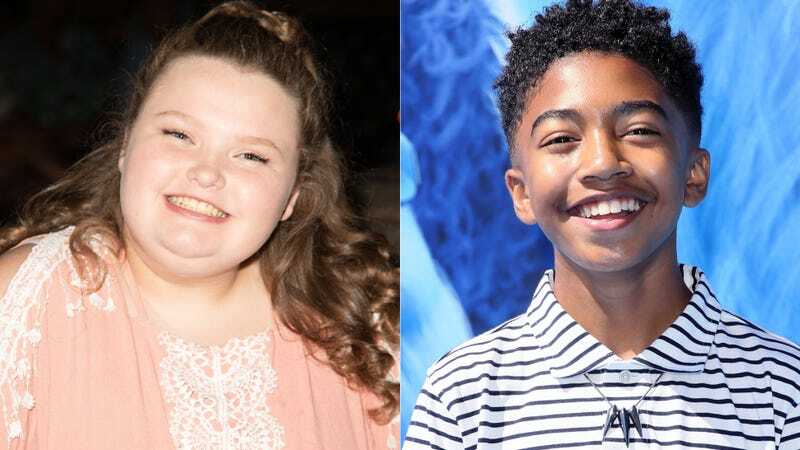 Other celebrity kids involved on the show include Miles Brown, who plays Jack Johnson on black-ish, and Bristol Palin’s son, Tripp. When Bristol was formerly on Dancing with the Stars, she sparked controversy week to week for not being eliminated, even though she and her dancing partner got consistently horrible scores. Will Tripp continue his mother’s legacy? I also think all of these children should be in school.